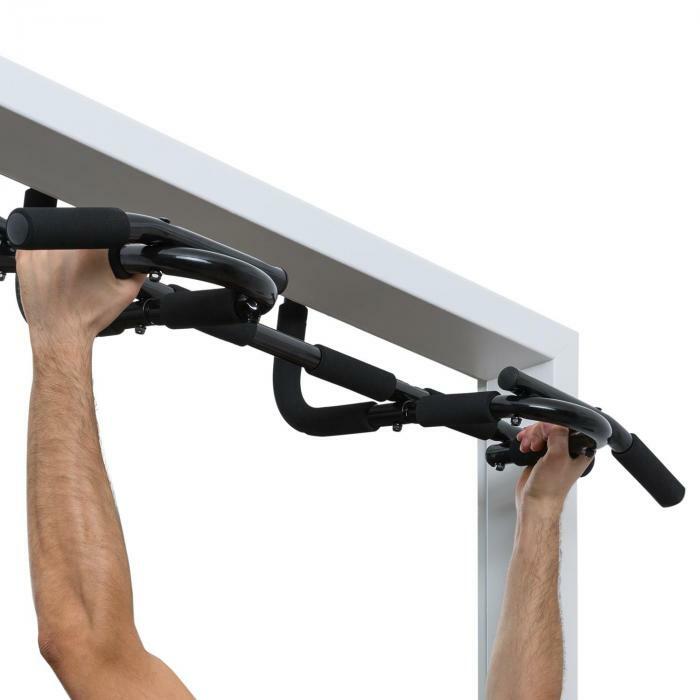 The Klarfit is a classic pull-up bar that's perfect for a quick home work out! This sports device allows for an uncomplicated, inexpensive, and highly efficient workout for your chest, back, shoulder, neck and arms. 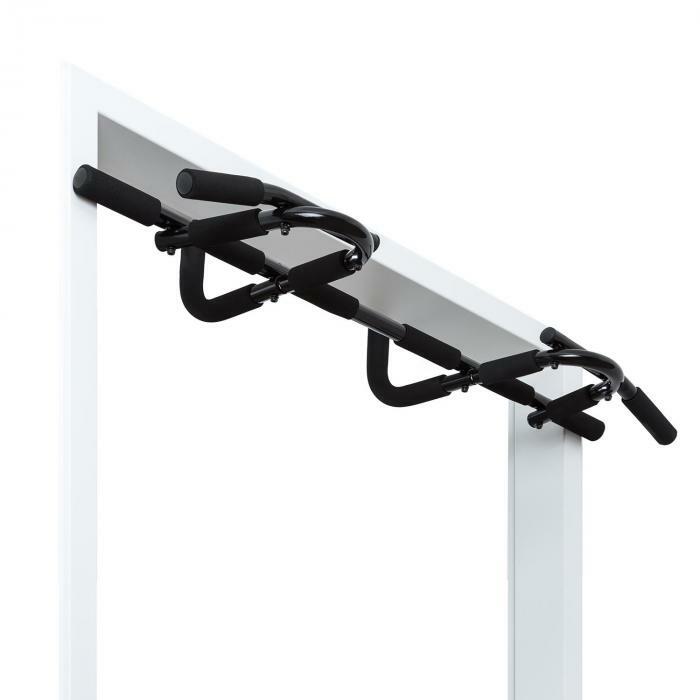 Unlike other door bars, the Klarfit pull-up bar provides six handle pairs to individually address several muscle groups. 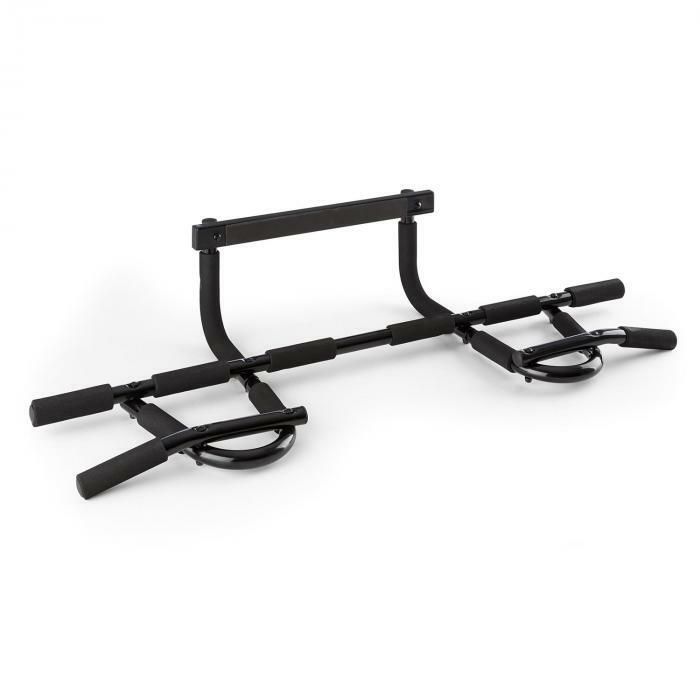 The pull up bar comes with 2 hooks to provide security. 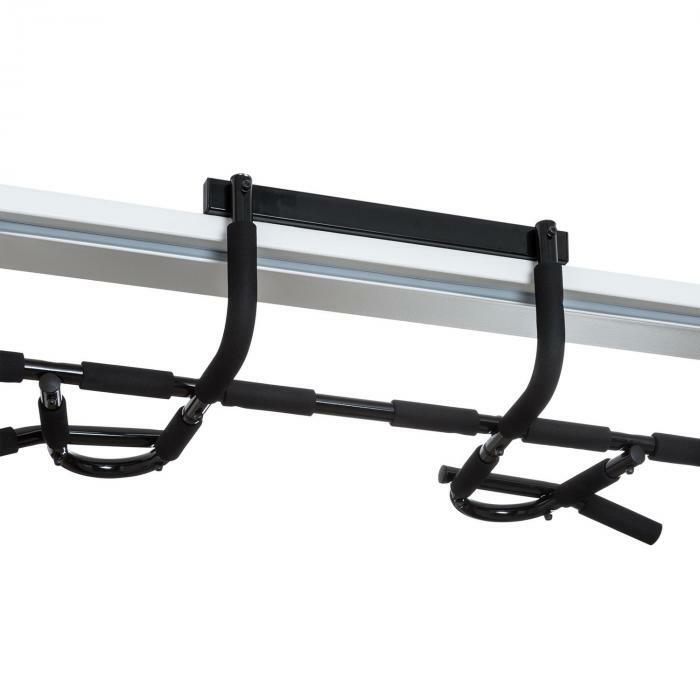 Please note that the unit is shipped as an assembly kit. Construction takes about 10 minutes, depending on your construction skills. 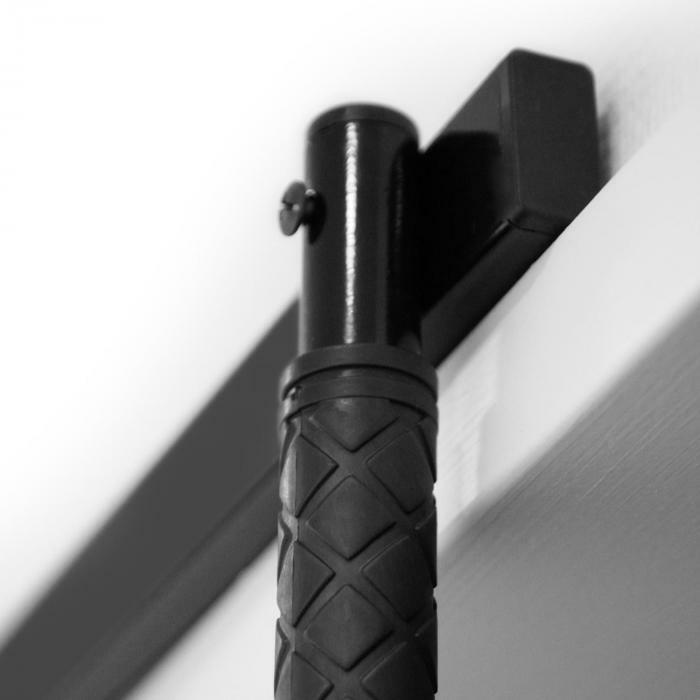 Mounting hardware is also included with your delivery.